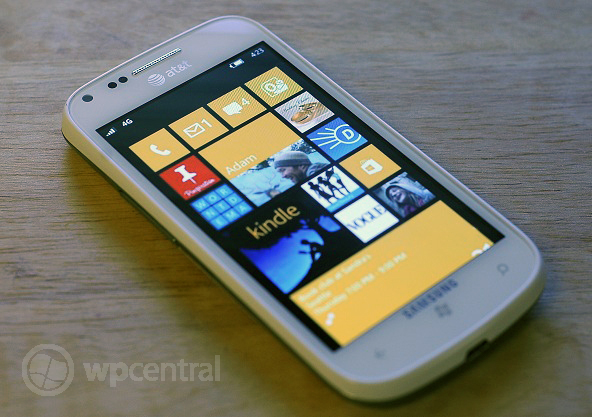 Good news for those who are on both Windows Phone 7.8 and the latest version of Microsoft's mobile platform. Joe Belfiore, who heads up the Windows Phone team and is the idol we all secretly praise in a dark, dim-lit room has revealed more information on both system-level Skype integration, as well as the pesky "Other" storage issue that many consumers are experiencing. The tweets, which were published before Belfiore's tweet about the Windows Phone 7.8 Live Tile issue, went unchecked but we've been rightfully notified by more observant souls. So what's Microsoft looking at when it comes to further integration with its communications service, and will we finally see a fix for the shocking levels of internal storage stolen by the operating system? First up is the tweet surrounding the mysterious "Other" storage, which is causing consumers concern. Internal storage on smartphones is limited (even though we're comfortably heading into the world of microSD support) and when an operating system takes up a large chunk of the available storage without providing enough detail on exactly what the space is being allocated for, it can be rather frustrating. We've attempted looked into the issue as numerous reports have been sent in from readers, but we're still waiting on Microsoft to confirm the problem and announce a fix is on the way. Luckily, Belfiore has come to the rescue. @shounencritiic on "Other" storage: some improvements coming in future updates, it will get better. Try turn-off skydrive auto-photo upload. We'll stick our heads out and bet that the above tweet is exactly what everyone wanted to read. What's more is there's a temporary suggestion until an update hits devices. Belfiore states that by turning off Skydrive auto-photo upload could help solve the problem (or make storage more manageable), potentially freeing up some space for media and apps from the Windows Phone Store. We'll also have to test this out. "Skype integration in people hub is on way... Requires a Skype update, and no I can't say when that's coming." Skype is a heated topic within the Windows Phone community. Some consumers argue that the service should be heavily integrated into the operating system, while others would prefer Microsoft to focus on refreshing the current client to function as expected. There's one agreement though - Microsoft has room for improvement when it comes to Skype and Windows Phone. In Belfiore's tweet, he confirms that Skype integration into the People Hub is on the way, which will require a Skype update. Unfortunately details as to when consumers can expect to see the next release were absent, so -- much like the "Other" storage issue -- there's waiting involved. At the very least, information is slowly beginning to trickle out and we can prepare ourselves for some minor improvements in the future. Source: Twitter (1) (2); thanks to everyone who tipped us!